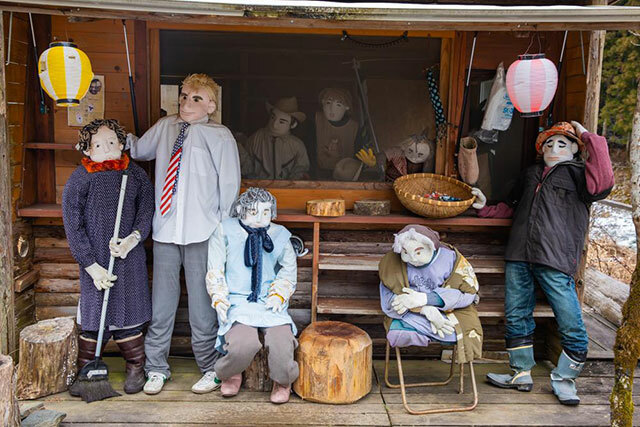 The picturesque mountainous town of Karuizawa has something for everyone. From stunning natural landscapes to fun filled man made attractions, there’s always something to see and do in the place John Lennon loved to escape to. The pleasant riverside site that is Hoshinoya Harunire Terrace is a wonderful spot to spend a lazy afternoon strolling around and enjoying the enticing mixture of locally owned cafes, restaurants, and shops which are frequented by locals and tourists alike – all of whom enjoy the variety and relaxed feel of the place. A pleasant afternoon stroll along the boardwalk is a surefire crowd-pleaser, as are the various delicious restaurants on offer serving up some great Japanese and international cuisine, and all making use of the fresh local ingredients of Karuizawa. 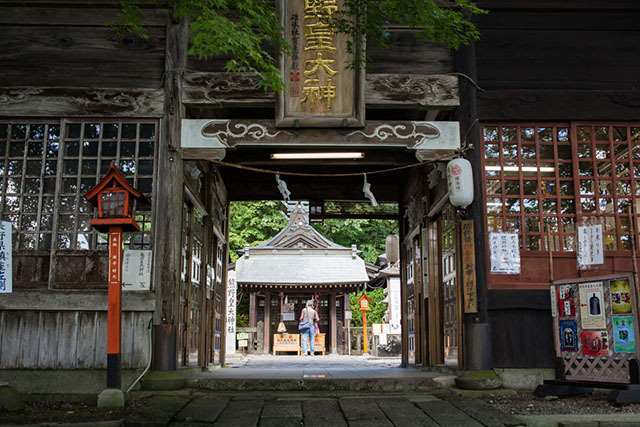 Sitting on the border of Gunma and Nagano, the Kumano Kotai Shrine is comprised of three main halls. The main hall, known as the Hongu, sits right on the border, whilst the Shingu hall sits on the Gunma side to the right, and the Nachi hall stands on the Nagano side to the left. The shrine is an important place of worship for locals, and an interesting and quite beautiful stop for visitors. 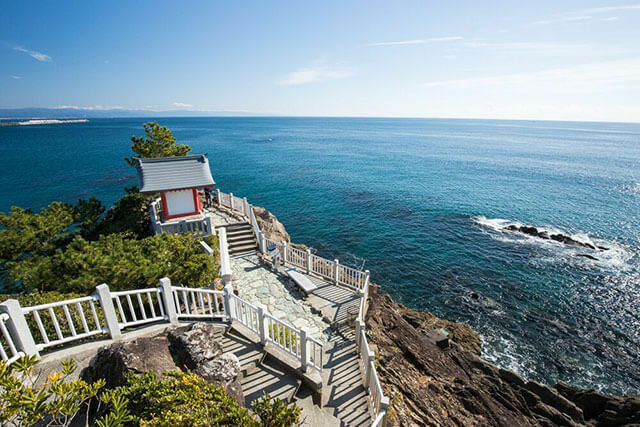 It is a part of the great Kumano Sanzan shrines which are located on the Kii Peninsula. Ranked as one of Japan’s top 100 famous mountains, Mount Asama is a key attraction of Karuizawa, and is known throughout Japan for its majestic beauty. It stands imposingly as a noble guardian to the mountain town, but you’ll have to admire from afar, as it is closed to visitors due to its volcanic activity. In 1783 a major eruption from the nearby Mount Asama created the stunning volcanic rock landscape of Onioshidashi Park. Subsequently giving it the unique rugged appearance which draws in visitors and locals in droves to marvel at the natural beauty of the park. The park is also offers great views of nearby towns – making it the perfect spot for a nice family photo! This is the main shopping street of Karuizawa, and makes for an excellent place to pick up some nice thoughtful gifts for loved ones, or some nice souvenirs for yourself to remember your time in the peaceful mountain town of Karuizawa. The Ginza is known throughout Japan as a classy respite from the summer heat, making it the perfect place to shop til you drop. Located in the forests north of downtown Karuizawa lies the scenic setting that is Shiraito Falls. Measuring at about three metres in height, and 70 metres wide, the impressive falls make for a great spot to fully appreciate the wonder of Karuizawa’s nature. Known as Shiraito no Taki, this name literally translates to ‘the waterfall of white threads’, due to the multiple streaks of white water which seem to form a white curtain as the water comes crashing down. Shiraito Falls are beautiful year round, but are particularly pretty in the autumn and summer months.